This studio lighting kit is an upgrade to our popular 800 Watt Continuous photo studio kit. With this lighting kit you will increase the amount of light available for your photo or video studio. Each stand comes with a 3 bulb holder which can hold 1 to 3 (max) bulbs. Each light has can be adjusted ON/OFF. 6 pieces of 45 watt light bulbs are included with this kit. Each 45 watt bulb is equivalient 200 watt incandescent type lighting. Also included are the backdrop stand and 3 pcs of 10x10 ft cotton muslin backdrop (white, black, green). 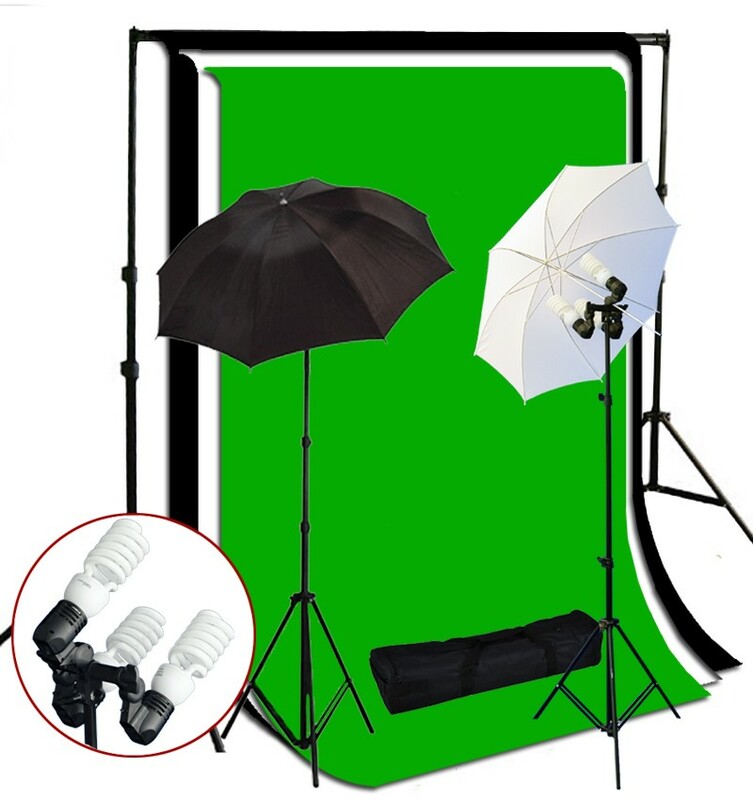 This kit is perfect for anyone looking to set up a photo or video studio kit.